From unspoiled beaches to woodland forests, Santa Rosa County in Florida is full of history and southern seaside charm. 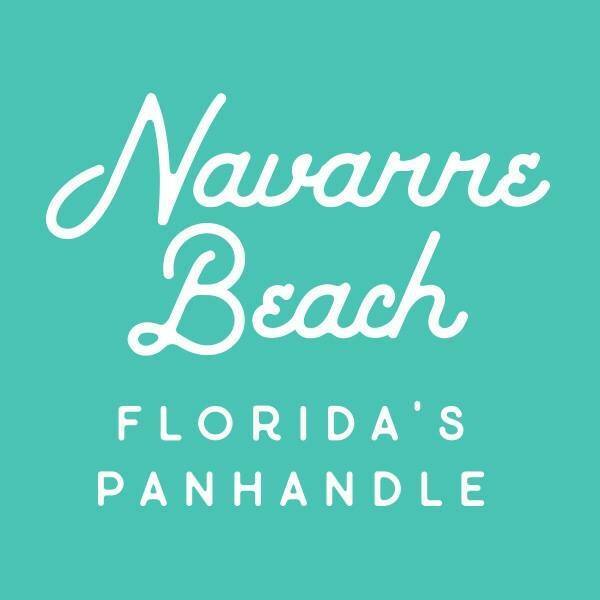 Located on the Emerald Coast, Navarre Beach is a hidden jewel just waiting to be discovered. The problem is I am not sure I really want you to know about it, but that would not be nice. We just need to keep it a secret between you (the reader) and me. Navarre Beach is one of those places that once discovered, you want to keep it to yourself. It’s a place where everything seems to flow on island time. Loved by both locals and tourists, find out why we say Navarre Beach is a hidden jewel in the Gulf of Mexico! Yes, it’s a beach town, but that doesn’t mean the culinary scene isn’t thriving! The flavors and the food explode here! Here are some of our favorites. Located on the pier is WindJammers, a restaurant featuring a culinary menu that is sure to please. 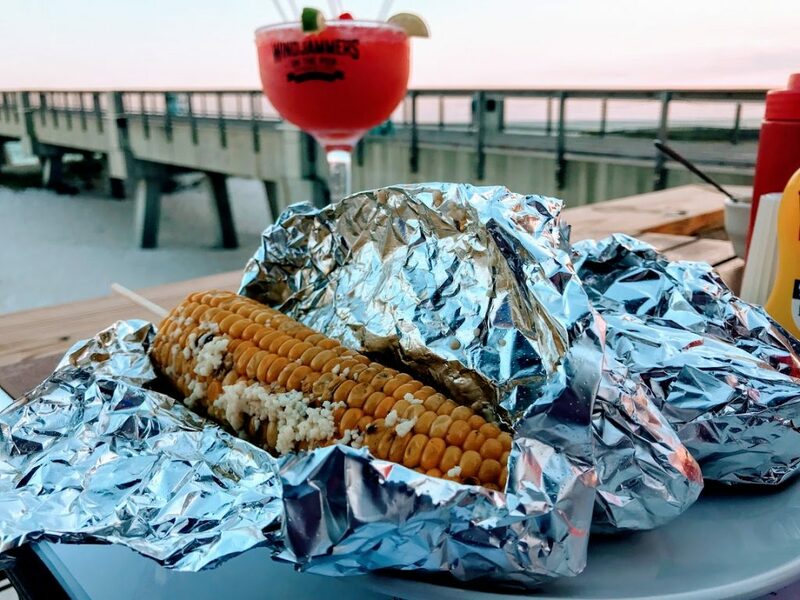 Enjoy craft beers while munching on beach delights like Jammer’s Street Corn, a traditional Mexican street corn served with a chili, butter and mayo spread and topped with cotija cheese. Make sure you order the Barracuda Shrimp. 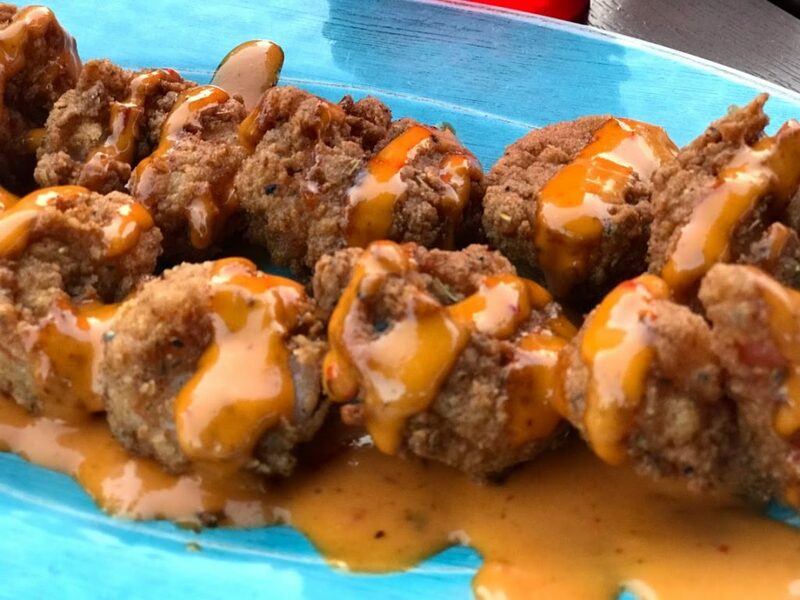 Windjammers version of the Boom Boom Shrimp covered in their signature sauce is delicious! Keep it close though as you might find it is all gone by the time it makes it back around the table. Their menu features beach favorites like the Po’ Boy served on New Orleans Gambino bread with their house-made Creole remoulade and signature half-pound burgers. 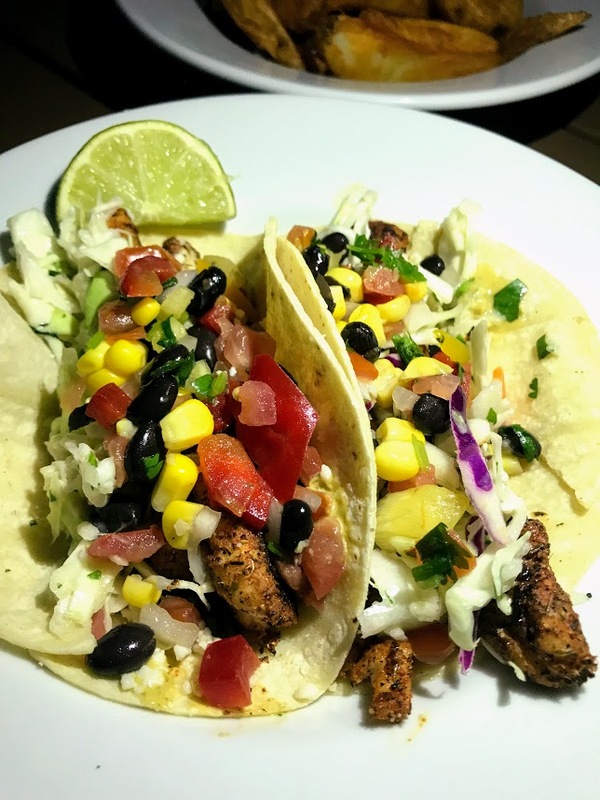 As you would expect, they have some Gulf favorites that you can’t miss like the seafood tacos filled with shrimp or fish. Served in a corn tortilla with their signature avocado, cilantro, and lime crema and topped with jicama slaw and pico de gallo, it’s sure to melt in your melt and leave you planning your return visit. 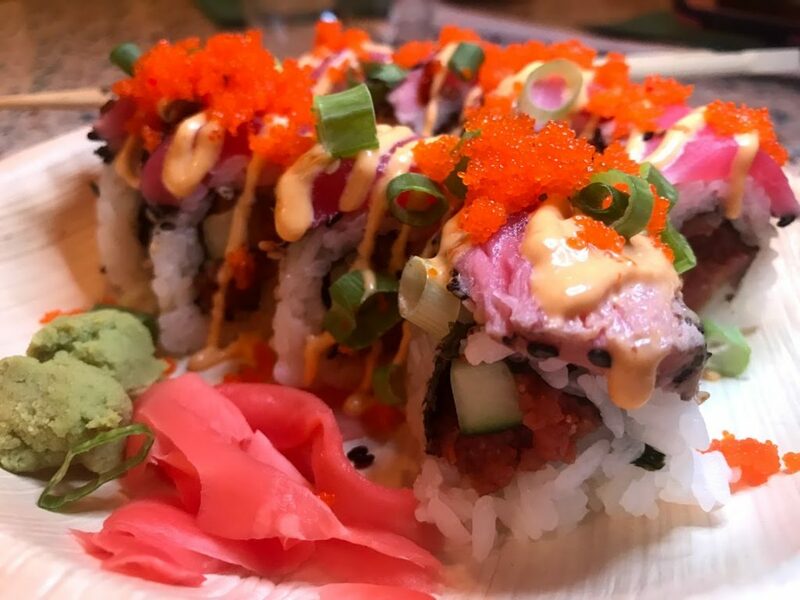 Looking for a harmonious pairing of sushi and rice? 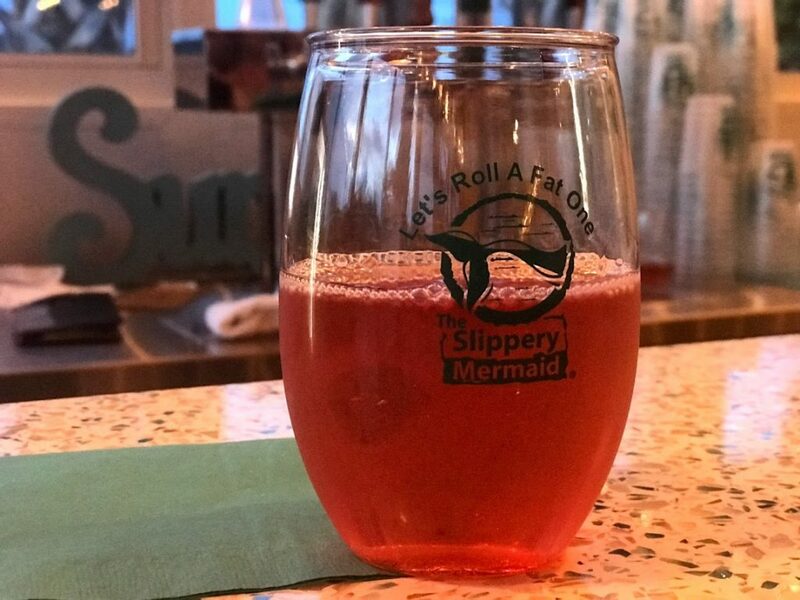 The Slippery Mermaid in Navarre is the perfect place to enjoy these hand-rolled delicacies. Here you can experience an explosion of distinctive flavors guaranteed to tickle your palate. Shrimp and Gouda Grits, Crab Cake Benedict, Fried Green Tomato BLT…these are just a few of the delectable brunch items to sink your teeth into at Blackwater Bistro on a Sunday morning in Downtown Milton. 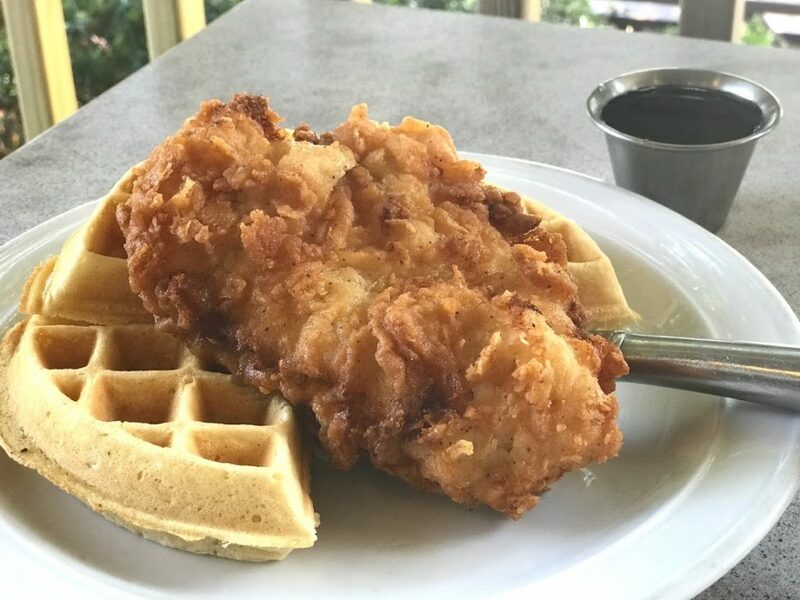 Imagine a crispy fried chicken breast served atop a golden brown waffle. Nom-Nom! 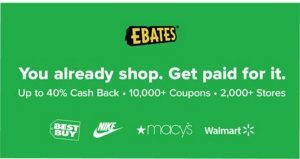 This and bottomless mimosas and champagne is something to make a trip for! For locals, Sunday Brunch is a favorite. For years Milton could not serve alcohol on Sundays. After much negotiating and the people making their voices heard in a local election, the law changed and Milton could experience bottomless mimosas and champagne, bloody marys, and other brunch drinks. Now Blackwater Bistro is serving up a brunch that brings people from all over. Hot, sunny days, are one of the best reasons to get ice cream, and Downtown Milton has one of the most adorable little 1950s styled shops that you HAVE to visit. Imagine the smiles on your children’s faces when you step into this sweet shop with the classic black and white tiled floor and vibrant colors. 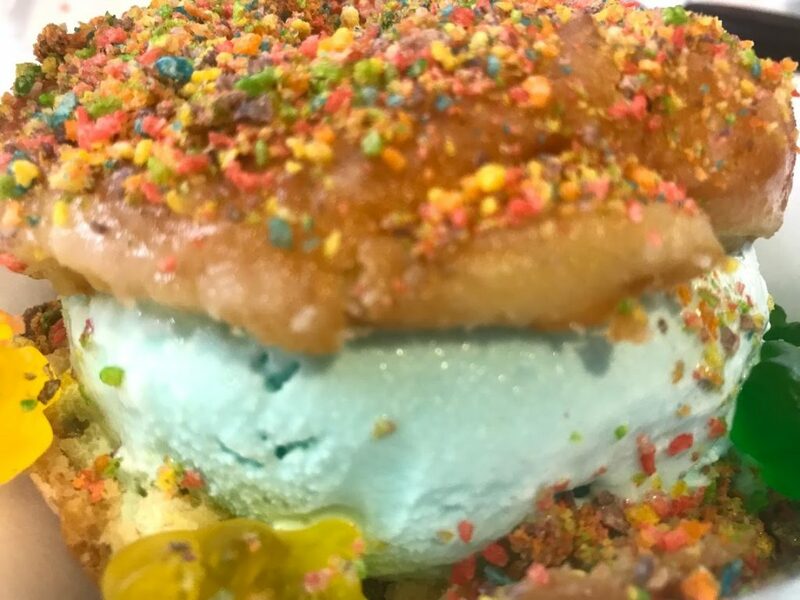 You are probably gonna win Mother or Father of the Year when you hand them an ice cream cone topped three scoops high and covered in sprinkles! 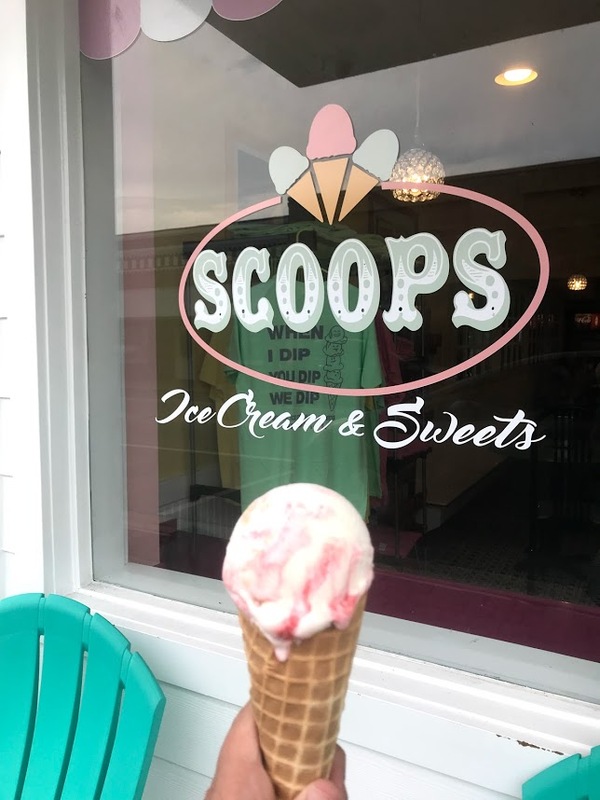 Scoops Ice Cream & Sweets features sundaes, banana splits, floats, milkshakes, and so much more. I recommend getting the Donut “Sundae!” Fresh donuts from the Milton Bakery are cut like a sandwich and filled with all kinds of creamy deliciousness! It is definitely worth saving room for. Got some special allergies? They ‘ve got gluten and lactose-free options. 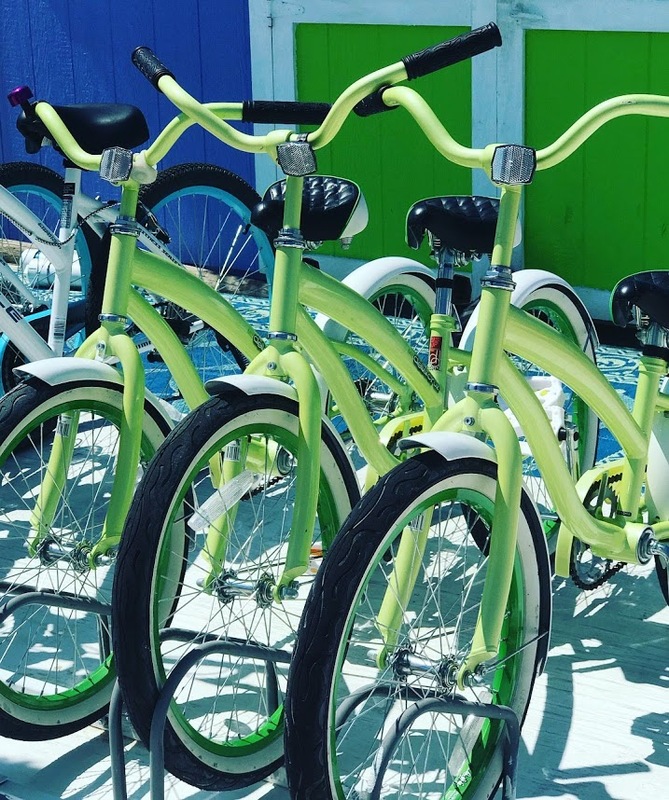 Whether you are looking for thrilling adventures to simply sitting back with your toes in the sand, Navarre Beach and Milton offer tourists a world where you can vacation differently. 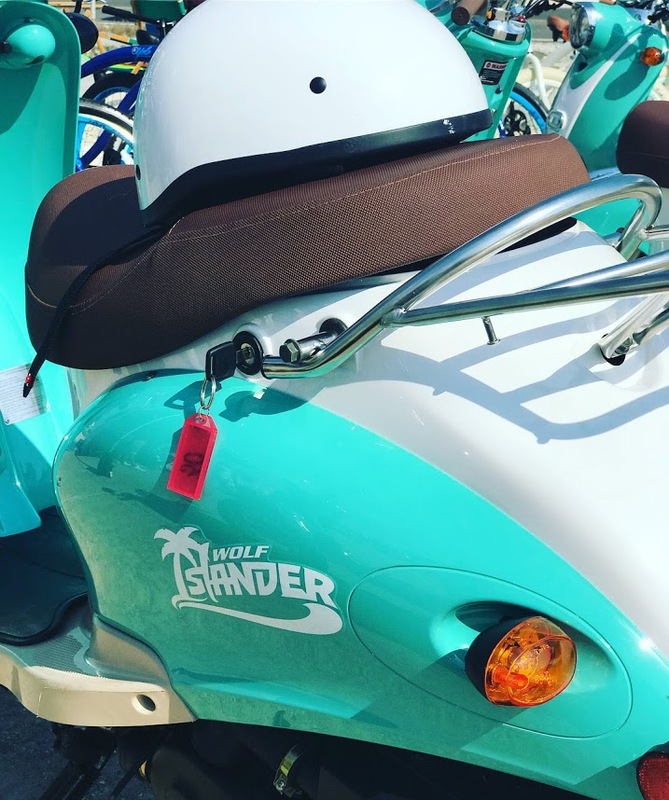 Enjoy a leisurely ride through the streets of Navarre Beach or the Gulf Islands National Seashore on a beach cruiser bicycle or Wolf Islander scooter. Cruise the Gulf of Mexico emerald waters on a paddleboard or kayak and experience a gentle drift on the bayside to a to a heart-pounding paddle against the current of the ocean. 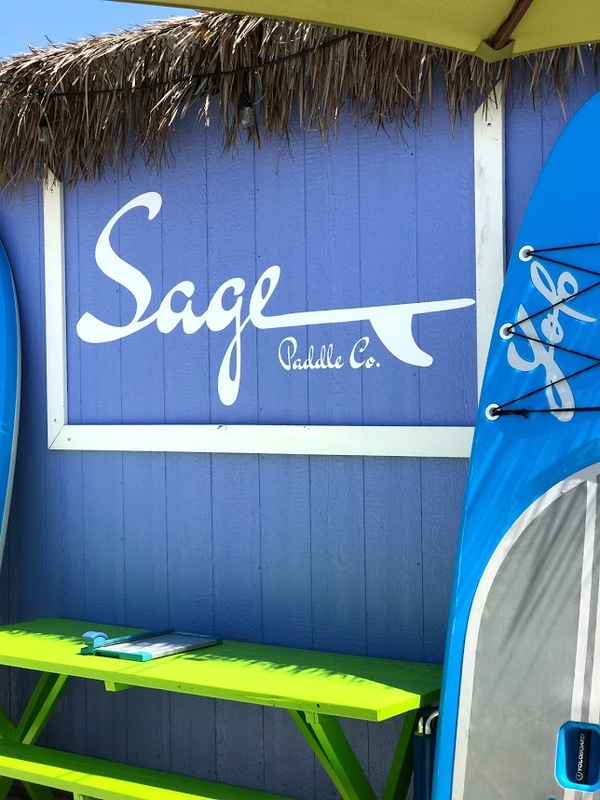 Meeting Sage while enjoying ice cream from Sage’s Snack Shack to singing karaoke throughout the evening, Sage Paddle Company is an attraction in itself and should not be missed! Feel like learning about the history of the area? Located at the end of a residential neighborhood is a hidden archaeological site dating back to the 19th century. 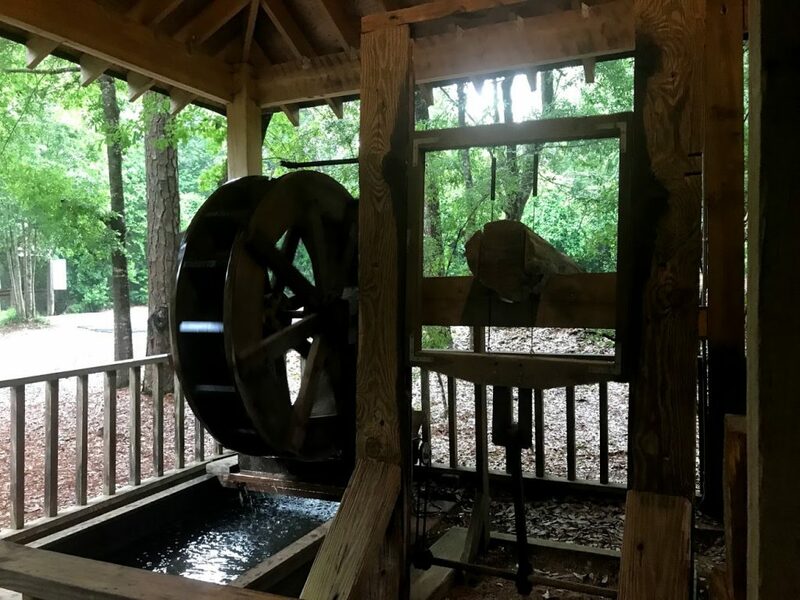 Now home to an interpretive center and boardwalk, Arcadia Mills is home to what was once a thriving mill site and industrial village. Beginning with the visitor’s center, you’ll discover how the logging industry impacted this area. Outside you will find an interactive site with replicas of time period equipment. Be sure to look for the box to get the technology going. It is simply fascinating to see how it works. 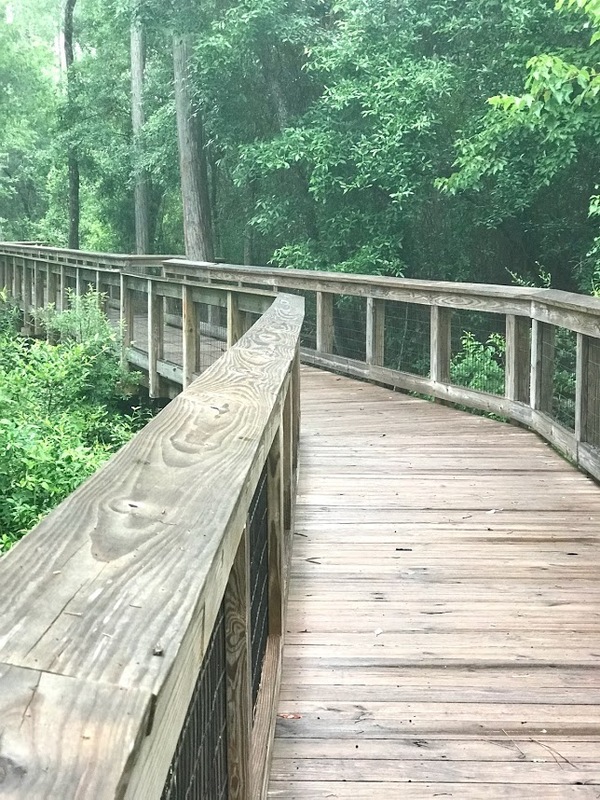 Then explore the remains by way of their boardwalk and nature trails. Markers along the walkways point out where various features of the site used to stand. See the remains of the dam and imagine what it must have been like for these people to create a thriving industrial scene or walk across the swing bridge over the fast-moving creek that once transported the produced goods. 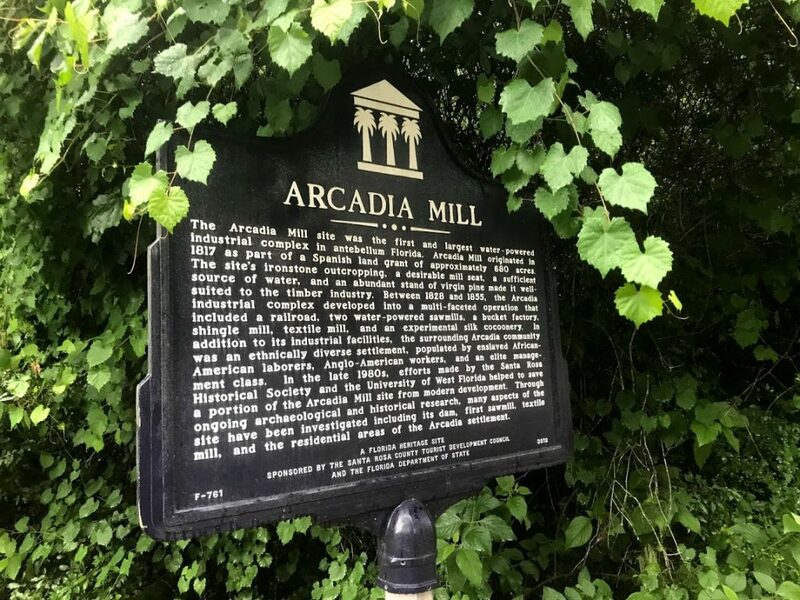 Arcadia Mills is free and a joy for history buffs! If you are craving the gleaming white sandy shores and the rhythmic waves of the ocean, you will enjoy Gulf Islands National Seashore. 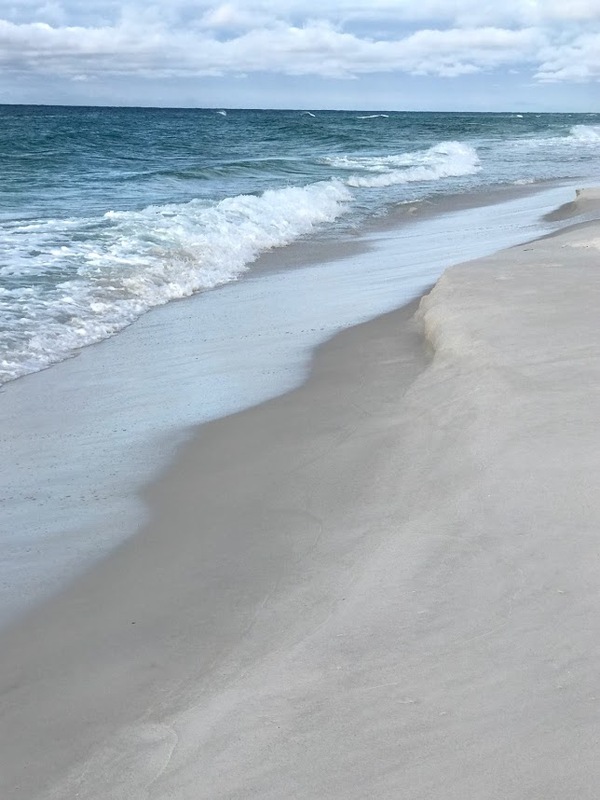 This untouched portion of the national seashore is located between Navarre Beach and Pensacola. Dotted with driftwood, trees, and sand dunes, this scenic drive is home to several nesting birds and sea turtles. The natural beauty of the area is nature’s playground, where the wildlife greatly outnumbers the people. The white fluffy sand, beautiful clear blue-green ocean and sun–you simply couldn’t ask for more! 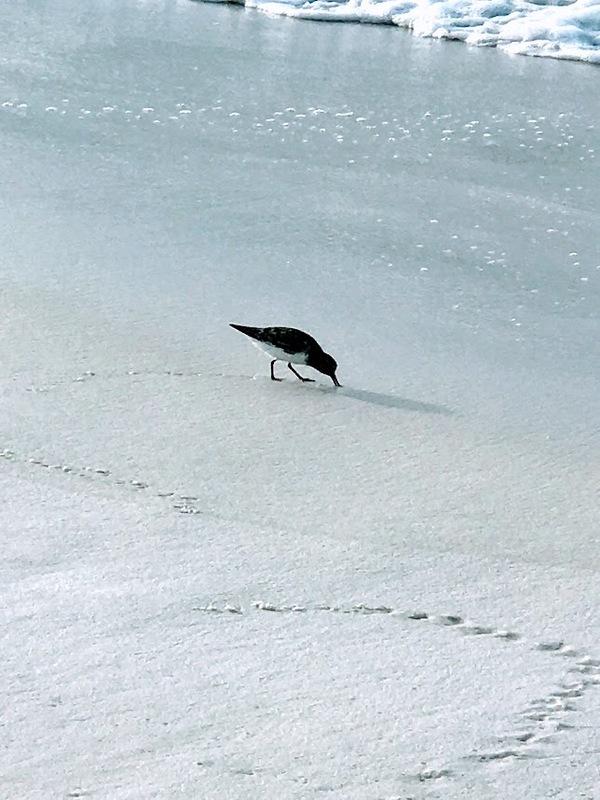 Be sure to only leave your footprints when visiting! 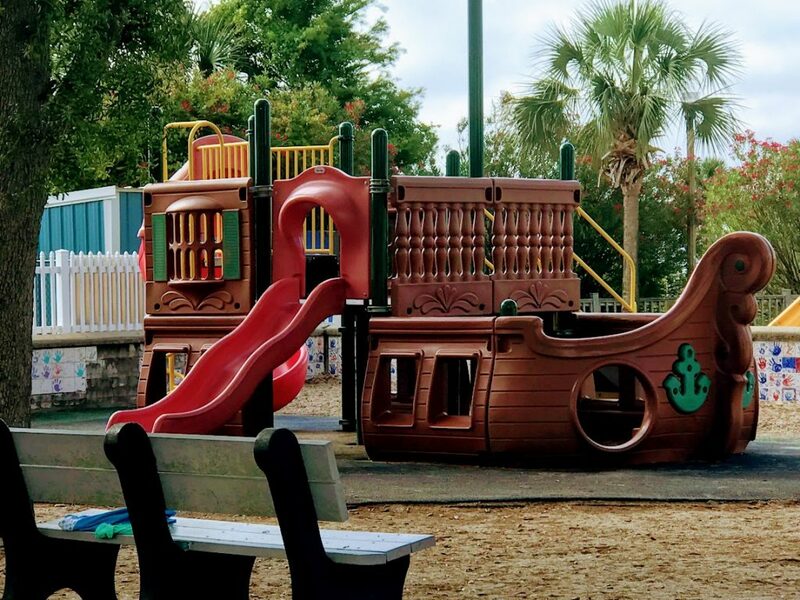 From the woodlands to the beach, Santa Rosa has got it all! 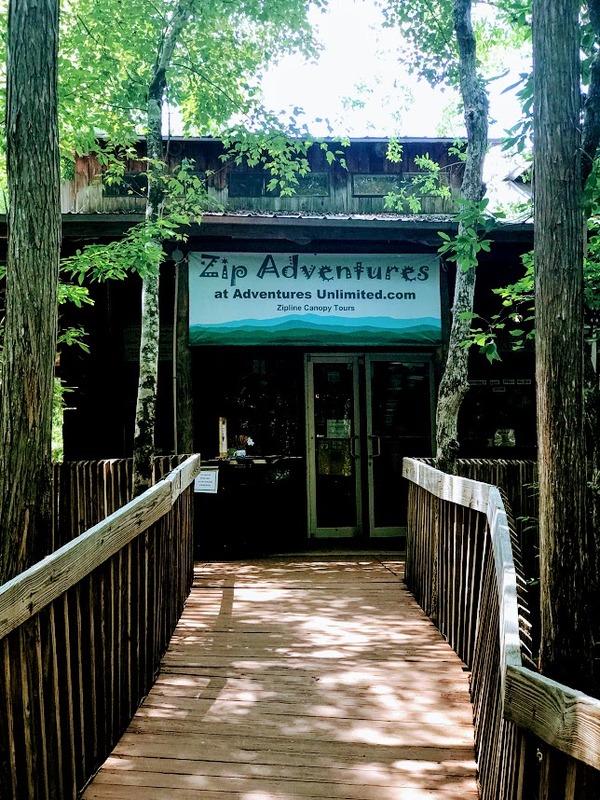 Located in Northwest Florida, you will find a picturesque outdoor adventure resort tucked away among the wooded landscape of Blackwater River State Park. It’s kind of hard to imagine that this adventurer’s playground is just 45 minutes northwest of the majestic emerald waters of the Gulf of Mexico. It just doesn’t seem possible, but oh it is! Adventures Unlimited offers the outdoor enthusiast an assortment of activities that are sure to get your adrenaline going and I would even venture to say it is a safe place for even the timidest of the adventure seekers like me. I’m a scaredy cat when it comes to ziplining or kayaking. But here, those inhibitions seem to fade away. Imagine canoeing, kayaking, or tubing along the spring-fed Coldwater Creek past secluded, sugar-white sandbars. Sounds great right? What makes this location unique is that anyone and I mean ANYONE can actually do this and not feel the least bit scared. Why? 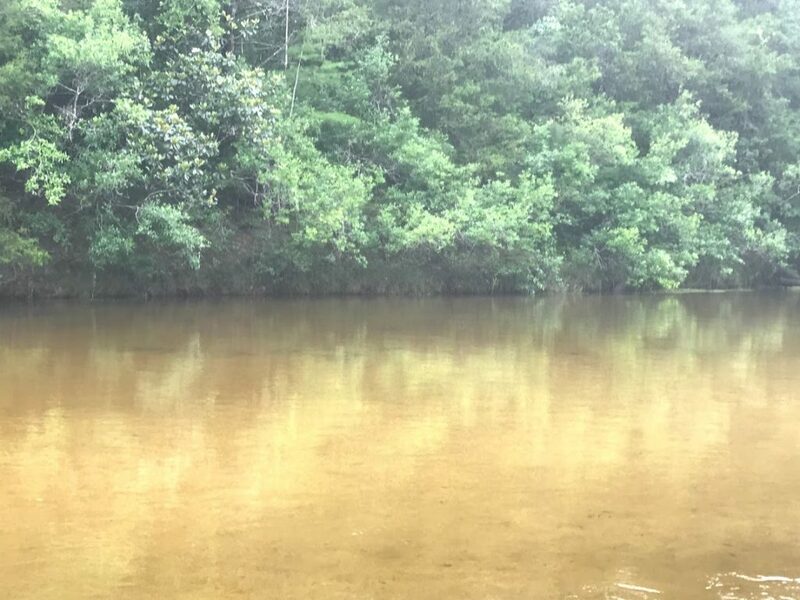 It’s crystal clear spring fed waters that vary in depth from 1 – 3 feet deep reassure those like me that you won’t be whisked away in a current of fast rushing water nor will you faint from not being able to see what’s underneath you. Seriously, the water is just something you have to see in person. I’m not quite sure my pictures do it justice. 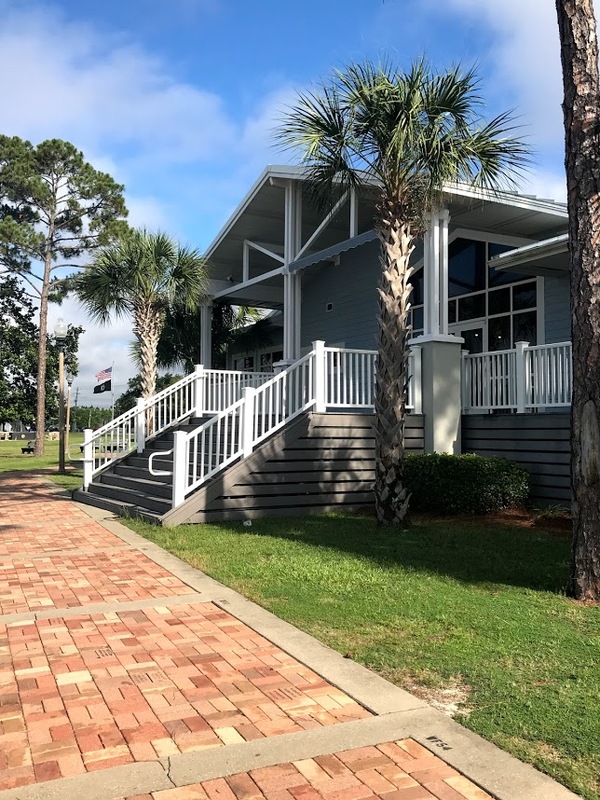 The charming community of Navarre Beach begins with its Welcome Center. Located at the foot of Navarre Beach Bridge, this is a must stop place for anyone vacationing in the area. What I love about this particular welcome center is that it is more than just a welcome center, it is an attraction. 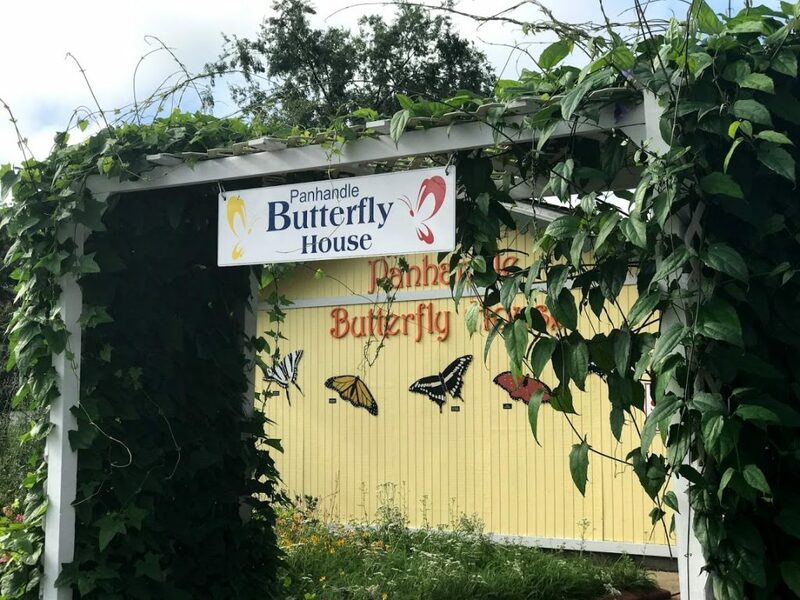 With a playground, splash pad, and butterfly house, both children and adults can be easily entertained. There’s even a dock to fish off of and outdoor grills and picnic tables to enjoy a cookout. If you are looking for a picturesque view of the bay and Navarre Beach, you have got to stop here! Wyndham Vacation Rental Lodging offers a variety of lodging accommodations in this little piece of paradise on the Florida Gulf Coast. Summerwind West Condominiums on Gulf Boulevard offer spacious bedrooms, giant balconies, and a full kitchen that allows you to relax in comfort without being crammed into a small hotel room. What makes this even better is its location on the sandy white beaches and stunning emerald waters. As an added bonus it is right next to the pier and within walking distance of several places you will want to dine at or enjoy. Whether you are there for a couple days, or even a couple weeks, you will want to stay in a location that offers luxury and convenience all in one. You can find additional lodging locations here. Wonder why they call it Florida’s Most Relaxing Place? Maybe it’s the area’s laid-back island vibe, magnificent sunsets, and Southern hospitality. Perhaps it is the fresh food options, gorgeous sunrises, and historical charm. I’m thinking it is all of these reasons and more. 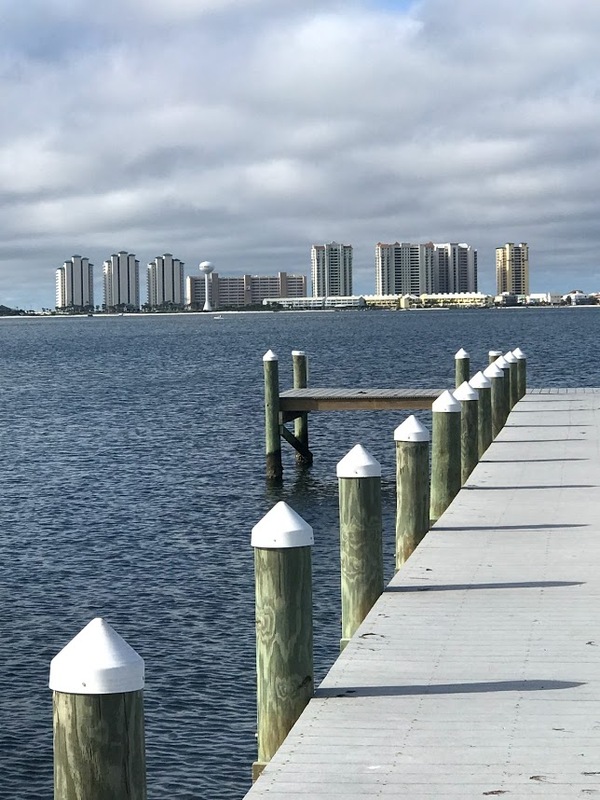 It’s just a place that is meant to be experienced and once you do, you’ll understand why the unspoiled and unhurried natural beauty and charm of Navarre Beach is so appealing. What are you waiting for? 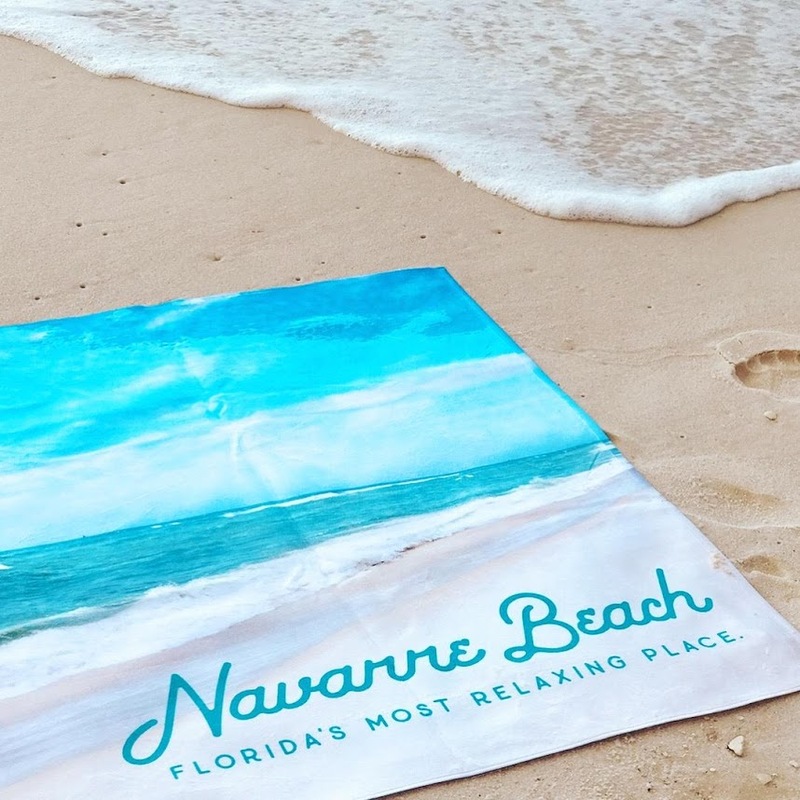 Go-Get Relaxing in Navarre Beach. I’m sure you will understand why we say that Navarre Beach is a hidden jewel in the Gulf of Mexico! 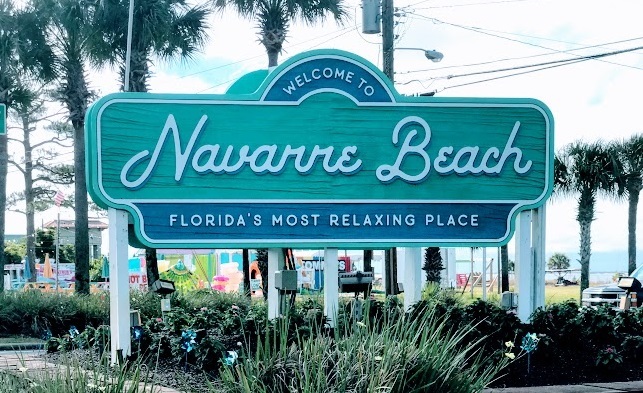 Oh my goodness what an amazing looking place to go and explore - it seems like there is so much to do and see at Navarre Beach and hey I would love to try some of that waffles and icecream! That looks amazing. I would LOVE to plan a trip there. It really looks like a fun place to take my family! Navarre Beach is one of our FAVORITE places in Florida's Panhandle! We have never been to scoops but will put it on the list for our next visit. We have never actually been to Navarre, just past it to Gulf Breeze. The Gulf Breeze Zoo isn't too far from there and I highly recommend checking it out the next time your there. This is such a pretty area. I always love when I can be by the beach. Also, all these food pictures have made me hungry. I've never been to Navarre Beach before. Everything looks amazing, I would love to visit with the family. 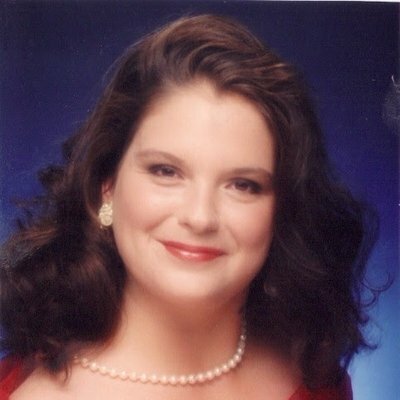 I have never been to on a trip to the gulf. Everything in this post looks amazing. Your photos take me right there. I would love to visit someday. Looks like the perfect vacation. 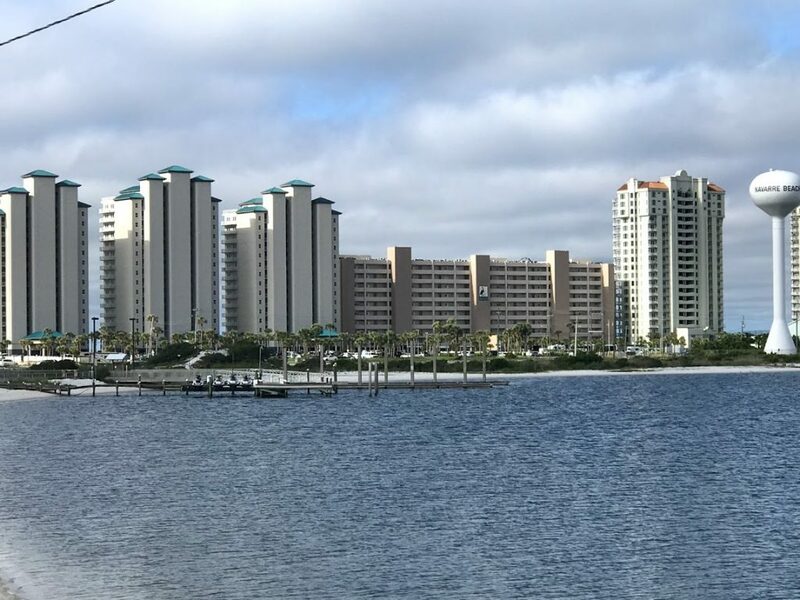 Navarre Beach looks like it is full of great food, great views, and fun things to do. I always love visiting the Gulf! I've seen on the news that some parts of Florida is affected by algae . I am glad that Navarre is not one of those places. This looks so idyllic! I would love to be there right now! Looks very relaxing, I have never heard of this place before! Wow it looks amazing. The food and the atmosphere. I'd love to visit, never been to the gulf of mexico before. Would love to! Wow, this beach looks totally void of touristy stuff. I love the more town and cozy feel it has! Navarre beach is the place to be! The corn looks super tasty too. This looks awesome! My husband grew up in Florida but we don't visit often enough. We're adding this to our family list! Looks like an amazing summer place to be! A huge bonus are the wonderful food and clean beach! Your trip to Navarre Beach is definitely an embodiment of living one full life. It looks like you had a blast enjoying delicious food and the beach. I need to make plans to do the same soon. Thank you for saying that. 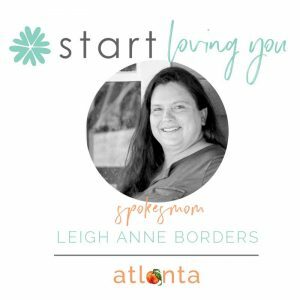 I really do try to live out what I blog about--Living One Full Life! We used to live on the Gulf of Mexico and it was absolutely magical. The water and beaches are just amazing there.